From happenings around the world, it is now clear that one of the most significant threats facing humanity today is climate change. 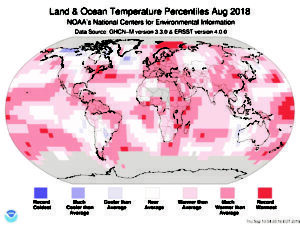 According to the American Meteorological Society, there is a 90 percent probability that global temperatures will rise by 3.5 to 7.4 degrees Celsius (6.3 to 13.3 degrees Fahrenheit) in less than 100 years, with even greater increases over land and the poles. 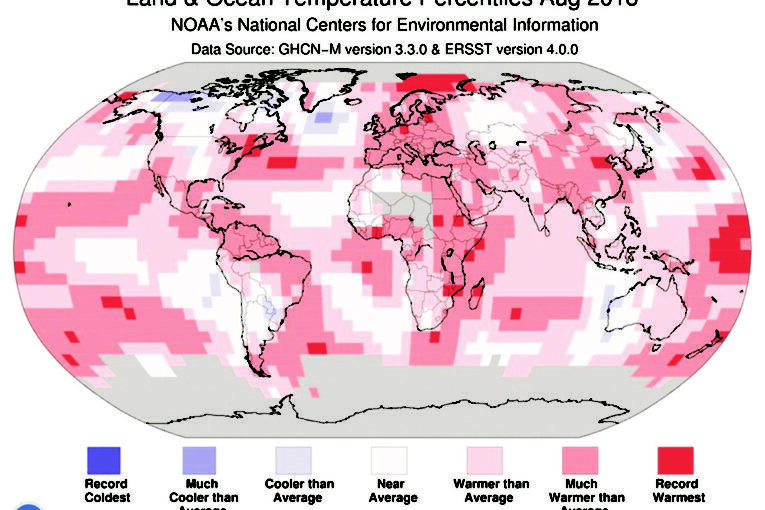 These seemingly minor shifts in temperature, experts say, are responsible for the trend of widespread disasters ravaging the world in the form of rising sea levels, violent and volatile weather patterns, desertification, famine, water shortages, and other secondary effects including conflict. Over the last couple of weeks, two major storms on opposite sides of the globe caused horrendous damage to property and human misery that its victims are yet to recover from. As Hurricane Florence tore through a region of the East Coast of the US, Typhoon Mangkhut terrorised the Philippines, Hong Kong, and East China. Reports say over a million people had to be evacuated out of the destructive path of the Florence mainly in North and South Carolina. The record flooding and winds took 18 hours in both states. Mangkhut’s destructive force was much worse. Some 5.7 million people were affected, according to official sources in the Philippines as wind speeds topped 150 miles an hour at the storm’s fiercest. Fatalities ran close to the 100,000 mark. In August this year, India suffered its worst flood that resulted in the death of 993 people, according to the Home Ministry of India. The flood affected the Indian State of Kerala and four other states. In the State of Kerala alone, about 400 people lost their lives with widespread destruction, and 600 people died in the four other states due to overflowing rivers. The situation in next door Pakistan has been equally tragic. In July, severe weather, including dust storms and heavy rainfall, resulted in the death of seven people and 29 injured in parts of Punjab Province. All seven victims died when houses or roofs collapsed after flooding. Halfway across the world, in the US, rather than heavy rains, it has been fire outbreak all over. The Mendocino Complex Fire in California this year is described as the largest wildfire in the history of the state. The wildfire tearing through trees and brushes, rampaged hillsides, incinerated neighbourhoods, destroyed 75 homes and forced thousands to flee. The twin fires being treated as one incident north of San Francisco destroyed 1,148 sq km (443 square miles) — nearly the size of the city of Los Angeles. Before the Mendocino Complex Fire, it was the Thomas Fire which was contained on January 12. It burned 1,140 sq km, and destroyed more than 1,000 buildings in Southern California. The Mendocino Complex Fire was less destructive to property than some of the other bush fires in the state because it mostly raged in remote areas. Africa has had its share of disaster caused by global warming. In August 2017, an estimated 1,000 people were killed and 6,000 others affected in a mudslide and flood disaster that devastated Regent, a mountain town located just outside Freetown, Sierra Leone. In the last 15 years, four major floods have affected over 220,000 people in the West African country and caused severe economic damage, according to a 2017 World Bank report. Many developed nations of the world say they are on track to keep a promise to provide developing nations with $100 billion a year to tackle climate change by 2020, up from an estimated $62 billion in 2014. The pledge of fast-rising funds, first made in 2009 to help the poor rein in greenhouse gas emissions and adapt to rising temperatures, was a key to ensuring all governments signed up for the 2015 Paris Agreement to combat global warming. The European Commission recently unveiled 9 billion euros worth of investments targeting sustainable cities, sustainable energy and sustainable agriculture for Africa and EU neighbourhood countries, but experts are calling for more action. While most world leaders have shown commitment to tackle the threat, US President Donald Trump has denied the science of climate change many times in recent years, calling it a “con job” and a “myth,” and even suggesting the concept was “created by and for the Chinese in order to make U.S. manufacturing non-competitive.” It is an unfortunate blow to the campaign considering the US’ leadership position in global affairs and its reputation as the world’s heaviest polluters. With such differences of opinion on the effects of climate change, the 2018 UN General Assembly provides another opportunity for world leaders to iron out issues and take necessary action to save the only planet that, as far as we know, can sustain human life.